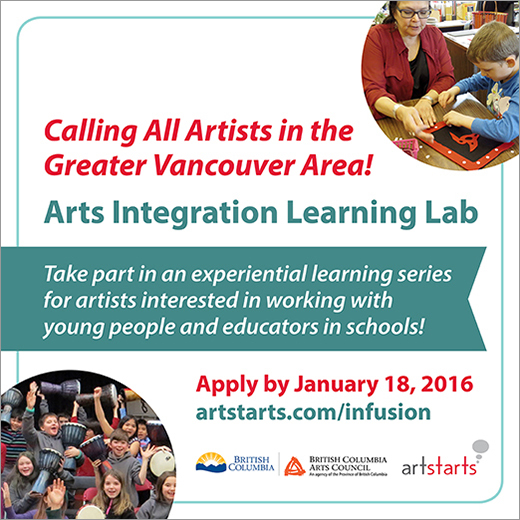 Apply by January 18, 2016 to take part in Arts Integration Learning Lab — an experiential learning series for artists interested in working with young people and educators in schools. The cost for artists selected to participate in the Arts Integration Learning Lab will be fully subsidized and covers tuition, program materials and lunch. 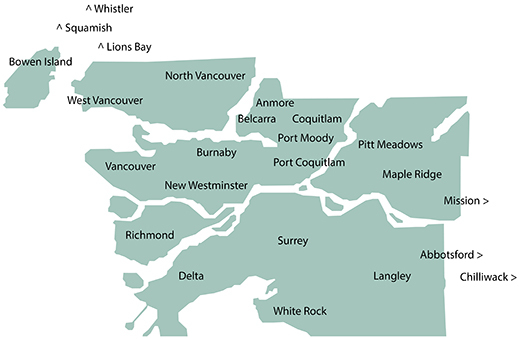 This opportunity is made possible through funding support from the BC Arts Council and the Government of British Columbia's Creative Futures program. Please Note: If you applied for the previous session of the Arts Integration Learning Lab and were not successful, please consider applying again.